P.J. 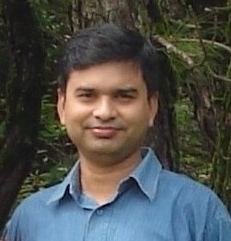 Mazumdar holds an MBBS and MS from Guwahati Medical College in Assam, northeastern India. He works as an ENT surgeon and has published his poetry in India, the UK, and the US. He is a member of the Assamese community of the northeastern part of India. Originally from Hajo, a town centered on the famous Hayagrib Madhob temple of which his family has been part of the traditional administrators, he has been brought up in the rich traditions of Hinduism. Mazumdar's influences include the saints Sankardeva of Assam and Ramakrishna Paramahamsa of Bengal, whose syncretic teachings combine the unbending rationalism of Advaita philosophy with the devotion of the Bhakti tradition.